These Buffalo Wings only require a few ingredients and are a perfect option for game time parties or any other gathering. We love watching sports at our house, and having great appetizers, like these buffalo wings, is a must. We love making these because they are super simple to make and everyone loves them. They definitely have a kick, so that is why we like to serve them with our homemade ranch dressing recipe. I have tried a lot of different buffalo wings recipes since moving to the United States, and there have been many tasty ones. That said, this simple recipe is definitely the best I have made yet! Being from Mexico, my favorite foods are usually pretty spicy. Even though my husband loves spicy food too, I don’t make it very often because our three little boys aren’t quite used to eating spicy food yet. However, when it comes to watching games, there is always room for a few spicy recipes. To make this delicious buffalo wings recipe, we start with clean and cut chicken wings. The leftover pieces are perfect for chicken soup. Once they are ready, it is time to season them with a combination of salt, pepper, and paprika. Next, coat the chicken wings in flour that was previously seasoned with salt, pepper, cumin, and garlic powder before frying until perfectly gold brown and cooked. This will take around 8 minutes or so. Make sure that the oil is hot enough and you can probably do two at a time. 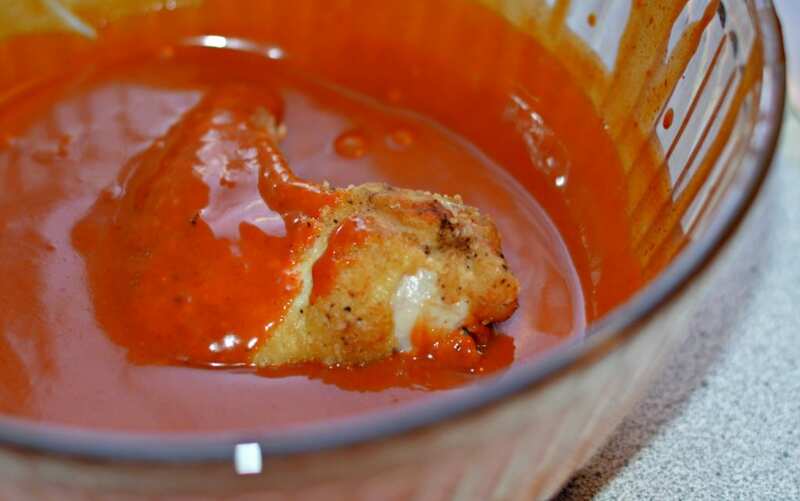 While they are cooking, prepare the homemade buffalo sauce which consists of one stick of butter, slowly melted over medium heat, 1/2 cup of molasses, and one bottle of the buffalo hot sauce of your choice. Heat until warm, but not overly hot. 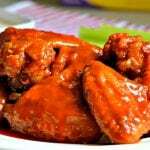 When the chicken wings are fully cooked, pat dry the excess oil and coat in the buffalo sauce. 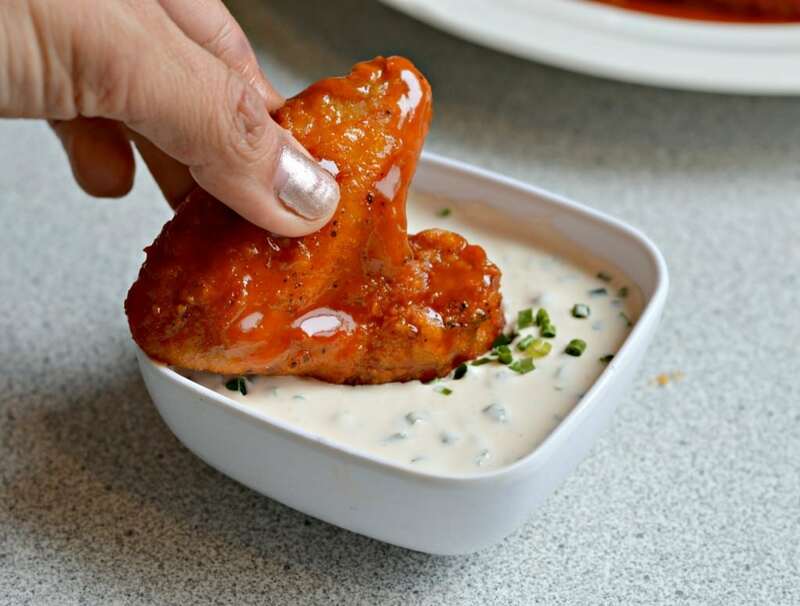 These buffalo wings go perfectly with our homemade ranch dressing, that you can learn how to make here, which balances the spice from the wings perfectly. Let me know how these turn out! 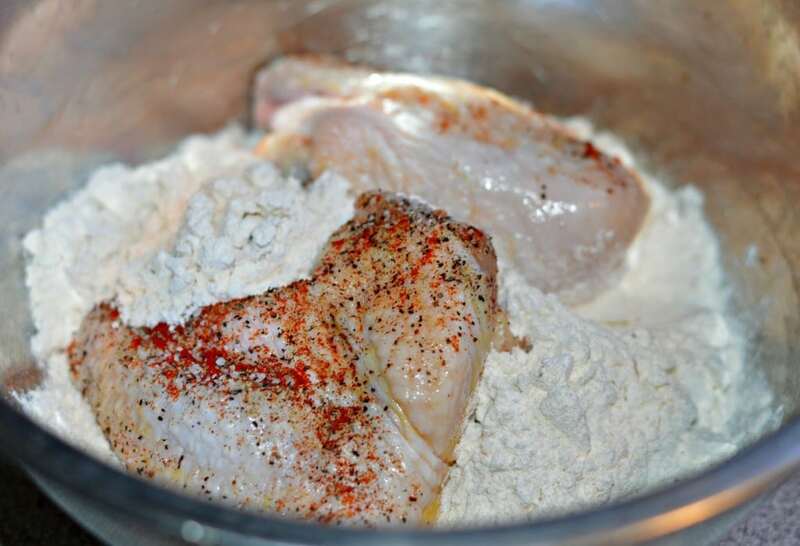 1 cup of all purpose flour seasoned with salt pepper, garlic powder and cumin to taste. 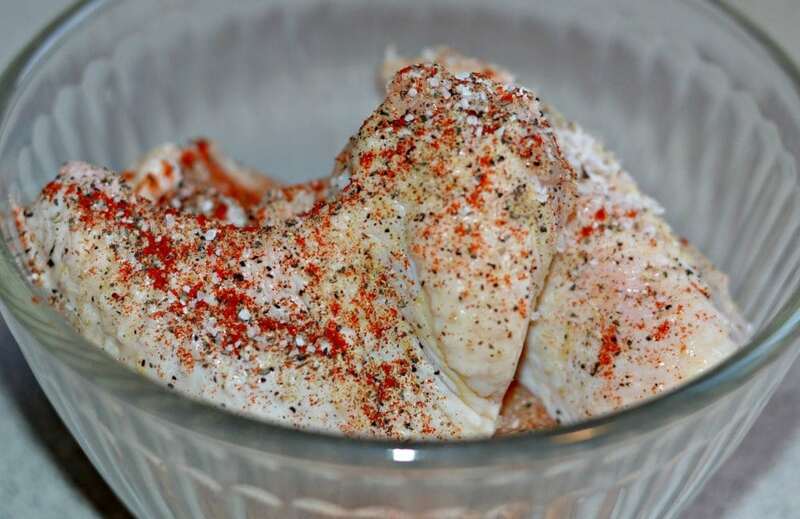 Clean and cut the chicken wings and season with salt, pepper, and paprika. Coat with the flour and shake off the excess. Fry the chicken wings in a pan with hot oil until completely cooked and perfectly golden brown. 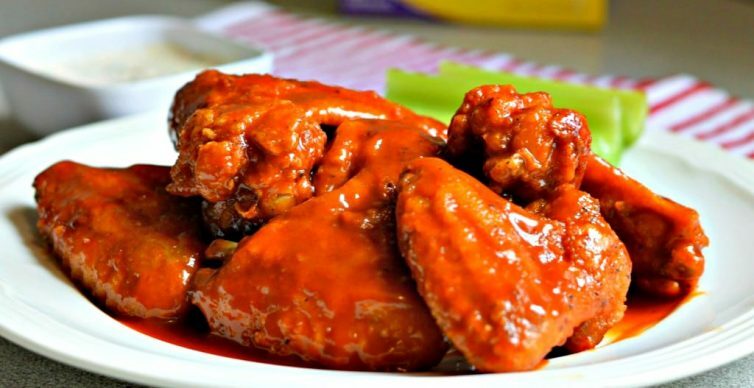 While the chicken wings are cooking, prepare the buffalo sauce by melting the butter over medium heat, adding the molasses, and then remove from the heat. Finally, when it cools down a little bit, add the buffalo hot sauce. Once the chicken is fully cooked, coat them in the buffalo sauce and enjoy with the ranch dressing. Interesting recipe. I don’t believe I’ve ever heard of molasses in a recipe for buffalo wings. But they look mighty delish. I really wanna make these. Are they very hot and spicy? I can deal with a little spice but not much of it. Thanx for your response. Thanks for the comment Gina. They are pretty spicy, but not overwhelming. You can lower the spice level by using slightly more molasses, or even just reducing the amount of hot sauce. If you can handle the hot sauce on its own, then mixed with the molasses should be fine as well. Good luck!